Start to finish Custom Hot Rods, Street Rods and Restorations. Custom Paint Body work, Custom Fabrication. Modern Classic updates, Wiring needs, Upholstery and trim work. 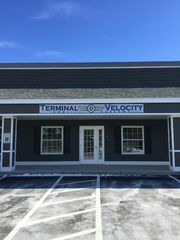 Rate and review Terminal Velocity LLC in Hudson, NH, United States! Share your experiences at Terminal Velocity LLC with your friends or discover more Auto in Hudson, NH, United States.